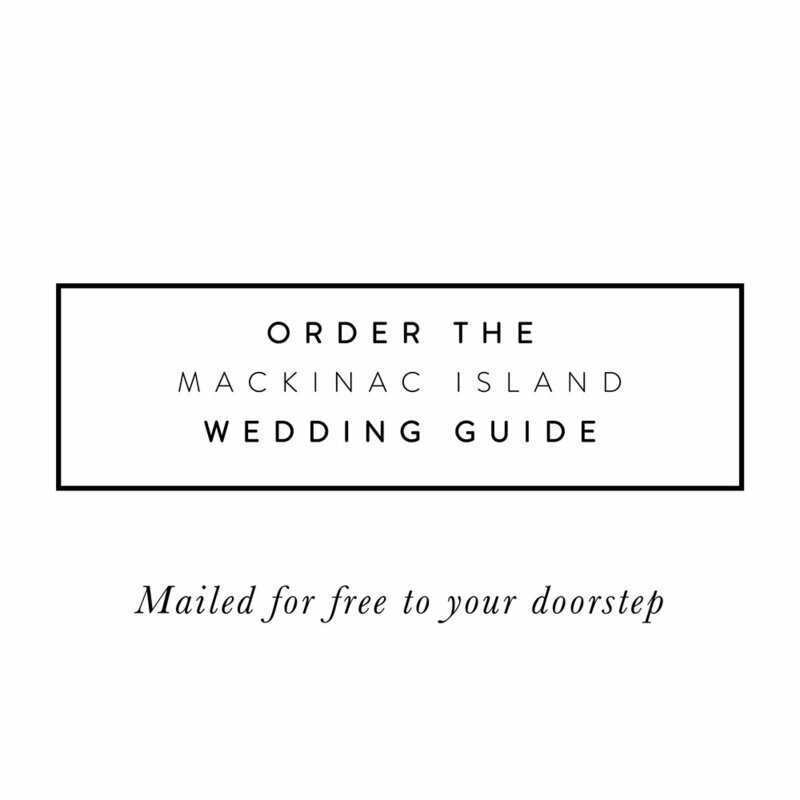 Mackinac Island– "Hottest Travel Destination” (Trip Advisor), “Most Tourist-Friendly Cities in the U.S.” (Expedia), “Best U.S. Island” (Condé Nast Travelor) – these are just some of the awards of distinction and reasons to choose Michigan’s crown jewel, Mackinac Island, for your destination wedding. Spend the night on Mackinac to truly experience this magical place. The sound of waves punctuated by the clip clop of horse hooves. Local charm augmented by gorgeous vistas. Mackinac Island boasts more than 1,500 guest rooms and family suites, from economical to extravagant, with no hotel chains. Every room has its own unique appeal. Whether you are in search of a resort with elegance and tradition, revealing the rich history of the Island, or a more modern all-suites hotel, Mackinac Island is home to over 40 hotel and lodging properties to fit every taste and budget. A variety of charming accommodations, exquisite restaurants and delightful shopping combined with a multitude of unique activities make Mackinac a perfect destination getaway. Use this guide to research your options. Step back in time and create your favorite travel memories by visiting Michigan’s special island. Mackinac Island is located between Michigan’s upper and lower peninsulas in Lake Huron. Interstate 75 brings you to the ferry docks located in 2 mainland cities, Mackinaw City in the Lower Peninsula, and St Ignace in the Upper Peninsula. 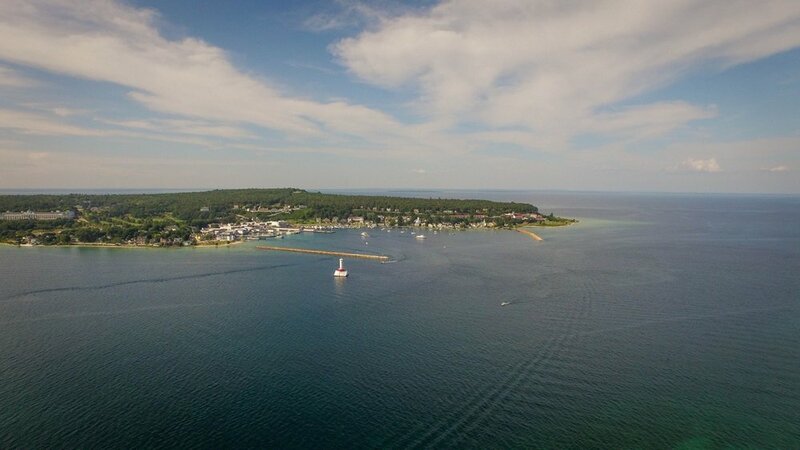 From there, either Star Line Ferry or Shepler’s Ferry will transport you across the crystal clear waters and your destination of Mackinac Island. Major Airports - Listed in order of proximity to Mackinac Island. Spend the night on Mackinac to truly experience this magical place. Waking to the sound of the waves and clip-clopping of horses, can be enjoyed by staying at one 1500 guest rooms varying from resort, B & B, to family friendly hotel. The cost of an Island wedding can be significantly less to having a wedding at home or at many other destinations. There are so many options and locations to choose - from the sunny shoreline, to the shaded woods, to the front porch of Grand Hotel or the picturesque gazebo of Mission Point Resort. There is something for every taste and budget, all on this beautiful magical island. Every single day offers an opportunity to have the wedding of your dreams, as weddings take place on a weekday or a weekend, spring, summer, fall or winter.